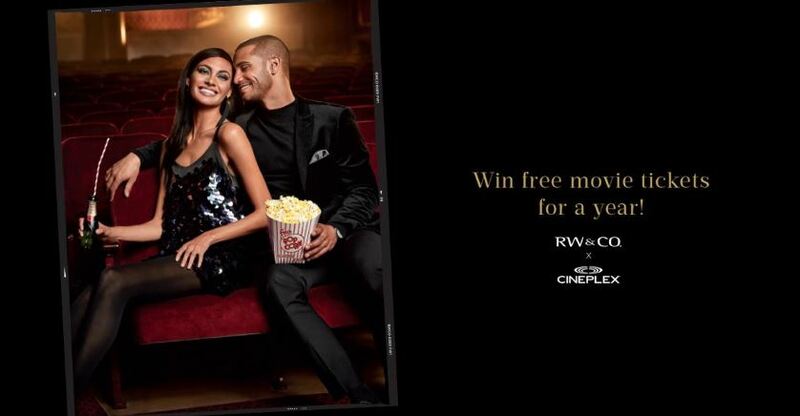 Enter the new RW&CO and Cineplex Contest, in it, you get the chance to Win free movie tickets for a year and a $500 RW&CO gift card. To enter you simply have to visit the official contest web page and complete the online entry form with all the required information including your name, last name, email address, postal code, city, gender and date of birth. Contest closes on December 19, 2018 at 11:59 pm ET. Winner will be notified by random draw from all eligible entries. There is one Grand Prize available to be won, consisting of a $500 RW&CO gift card and 4 Cineplex movie passes per month for a year. The RW&CO and Cineplex Contest begins on December 1, 2018 and closes on December 19, 2018. The draw will take place on December 20, 2018. Winner will be contacted by email.